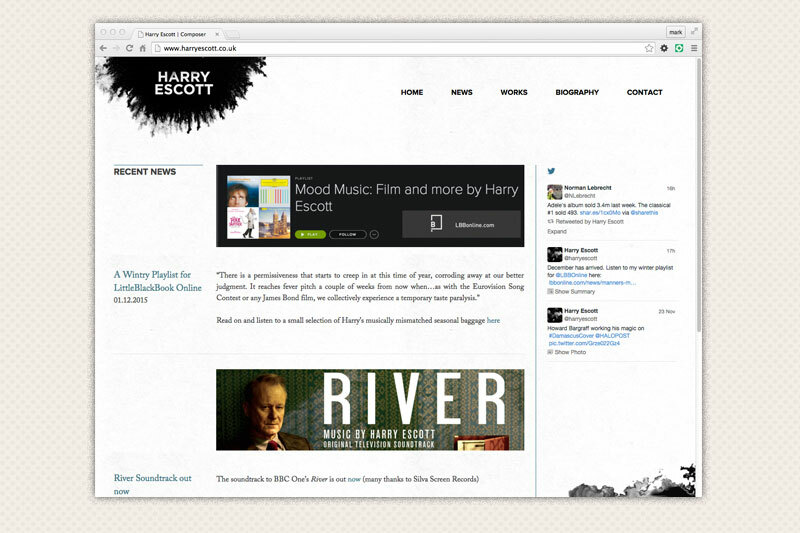 Harry Escott is a British Composer known for his score to the influential psychological horror film Hard Candy and his numerous collaborations with directorial talents such as Michael Winterbottom (on both A Mighty Heart and The Road To Guantanamo), Nick Broomfield (Ghosts), and 2014 Oscar winner Steve McQueen (Shame). 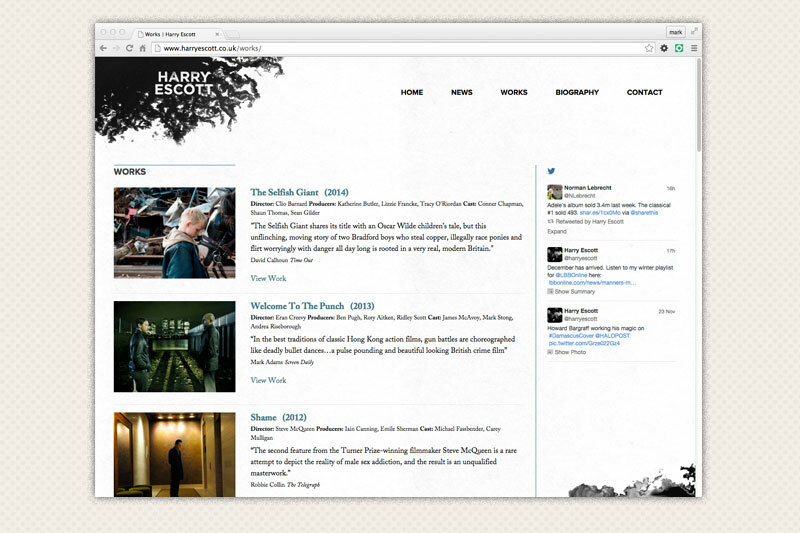 Harry wanted a website that is easy to update and that can serve as an archive of his work. 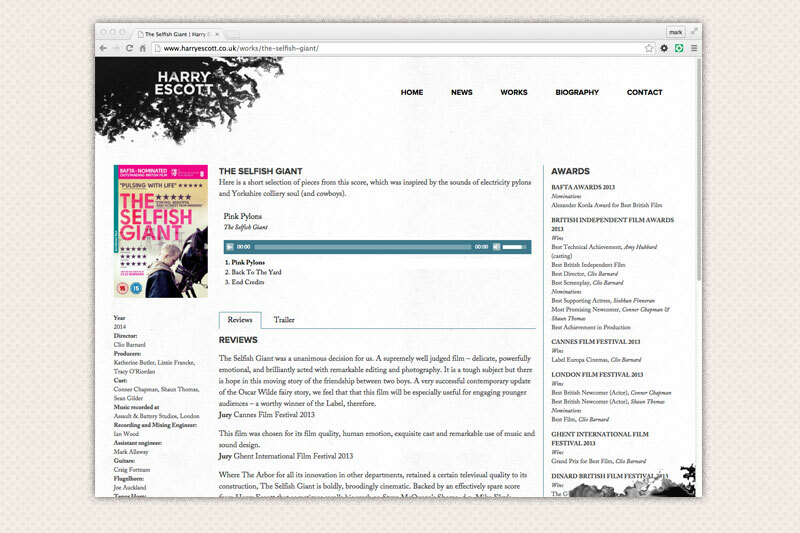 Each project that he has worked on has it’s own page with video, credits and supporting documents to go alongside the his compositions.